Dallas — Storms that blew through North Texas and generated funnel clouds have left thousands of people without electricity and a police officer hurt after being struck by lightning. 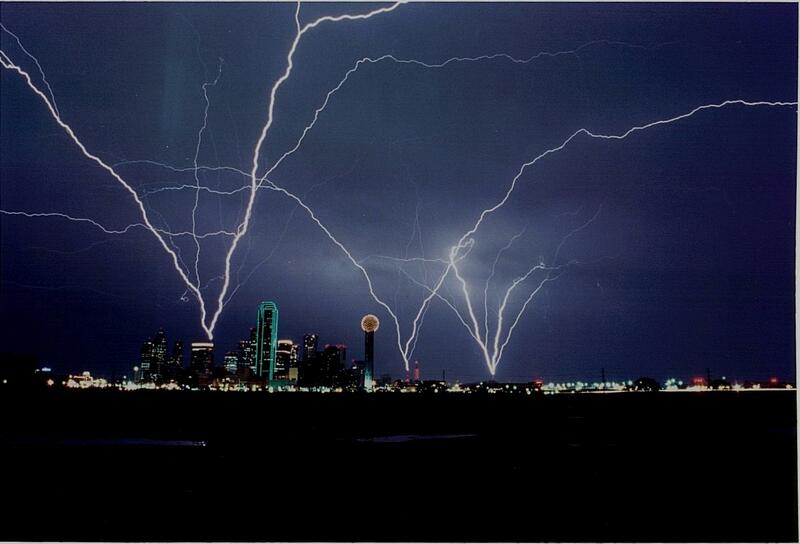 Oncor early Wednesday reported more than 39.000 customers without power in the Dallas-Fort Worth area. Utility spokeswoman Ashley Burton says crews made significant progress overnight, after nearly 70.000 customers lost electricity in Tuesday night’s storms, accompanied by tornado warnings and hail the size of tennis balls. Irving police say an officer was hospitalized in good condition Wednesday after being struck by lightning while placing flares in a road. The name of the officer injured Tuesday night was not immediately released. Hail and wind damage in Watauga, Argyle, Azle (AY’-zil) and Denton included windows broken out of vehicles and some lost roofs. A tornado watch remains valid until 10 p.m. CDT Tuesday evening in 25 counties across North Central Texas, including Dallas – the National Weather Service reported. Showers and thunderstorms are likely before 1 a.m. Some of those storms could be severe. The storm should give way to mostly sunny conditions by Wednesday. A tornado warning remains in effect until 9:45 p.m. CDT for Dallas County and also for Rockwall, Northwestern and Kaufman counties. Large damaging hail up to baseball size is also possible. The severe thunderstorm in those areas has a history of producing one or more tornadoes capable of producing an additional tornado near University Park. Preparations can include moving to an interior bathroom, a close or hallway on the lowest floor of the building. People are urged to cover themselves with blankets, pillows or a mattress for protection. Some witnesses are reporting that twisters have already touched down in some places, accompanied by golf-ball size hail. There are confirmed reports in the eastern town of Azle and also extensive damage in Saginaw. However, the concern is that the storm moves its way eastward and hits the heavily populated city of Dallas and the Fort Worth International airport. Tampa, Florida. 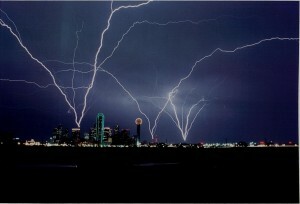 Storms swept through North Texas on Tuesday night, bringing rain, hail, high winds and unconfirmed reports of tornadoes. The bad weather left DFW International Airport trying to get a handle on the cancellation of more flights. Bad weather has caused the cancellation of more than 200 flights since Monday. American Airlines said it canceled 50 to 60 flights on Tuesday alone, which has impacted travelers trying to fly into Tampa International Airport. Sabrina Haynes of Lakeland spent hours waiting by the phone for her niece to fly into TIA. Kinesha King left Lawton, Oklahoma to catch a flight out of DFW on Monday night. American Airlines has tried to make room on flights for those forced to spend the night unexpectedly in the airport or the Dallas/Ft. Worth area due to a canceled connecting flight on Monday. King is five months pregnant and her aunt says she was forced to spend Monday night in the airport due to the bad weather. Her flight was canceled. This entry was posted on Wednesday, May 25th, 2011 at 7:11 am	and is filed under Catastrophes. You can follow any responses to this entry through the RSS 2.0 feed. Both comments and pings are currently closed.